Turkish President Recep Tayyip Erdogan. The Kremlin reports the Russian president has received a message from Turkey’s counterpart where he expressed his readiness to settle the situation over the downing of the Russian warplane. Turkey’s President Recep Tayyip Erdogan has finally offered his apologies to Russian President Vladimir Putin for the death of the pilot of the downed Russian plane, presidential press secretary Dmitry Peskov told journalists on Monday. According to the Kremlin, the message notes that Russia is Turkey’s friend and strategic partner the Turkish authorities don’t want to upset relations with. 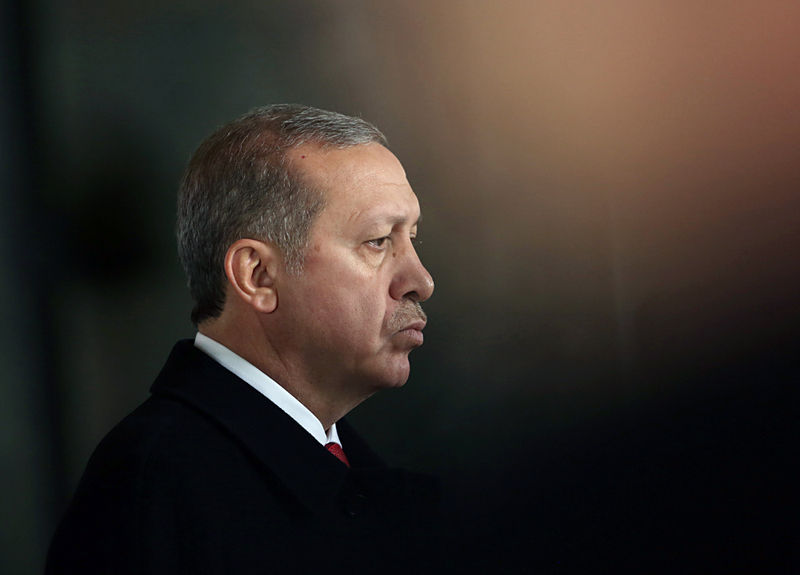 "We have never had a deliberate plan to shoot down a Russian plane," Erdogan reportedly said in his message. What does Yildirim’s appointment bode for Moscow? "Russian President Vladimir Putin has received a message from Turkey’s President Erdogan where the Turkish leader expressed his readiness to settle the situation over the downing of the Russian warplane," Peskov said. "Having assumed the risks and exerted great effort, we recovered the body of the Russian pilot from the Syrian opposition to take it to Turkey," the message said as quoted by the Kremlin press service. "Pre-funeral procedures were organized in conformity with religious and ,ilitary procedures. And we did it all at a due level." Erdogan offered his deep condolences to the family of the killed Russian pilot. "I am saying, ‘I am sorry.’ I share your grief with all my heart. We consider the family of the Russian pilot as a Turkish family. We are ready for any initiative in the name of easing the pain and gravity of the damage we have done," the document says. The Turkish president said in his message that a Turkish citizen suspected of complicity in the death of the Russian Sukhoi-24 bomber’s pilot is under investigation. "The message also says that the Turkish citizen whose name is associated with the death of the Russian pilot is being investigated," the Kremlin’s press-service said, adding that Erdogan expressed profound regret over the incident and stressed his readiness to do his best to resume traditionally friendly relations between Turkey and Russia and to pool efforts to respond to regional crises and to fight against terrorism.